In the future please address me as Beluga Whisperer. 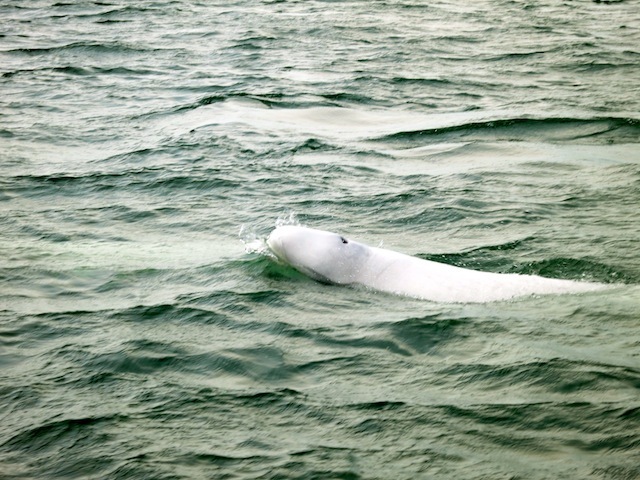 After two days in Churchill, Manitoba, high up north in the Canadian tundra on the lonely shores of Hudson Bay, I’ve kayaked with, boated around, sang to, spied upon and fallen in love with the magnificent beluga whale, a species more commonly known as the Platinum Blondes of the Sea. 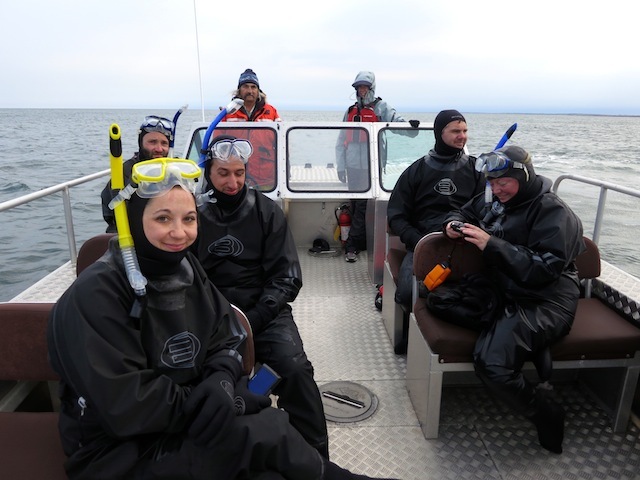 And that’s why I know snorkelling is going to be the ultimate beluga adventure in Churchill. Belugas are not interested in eating humans. Though they do eat fish. 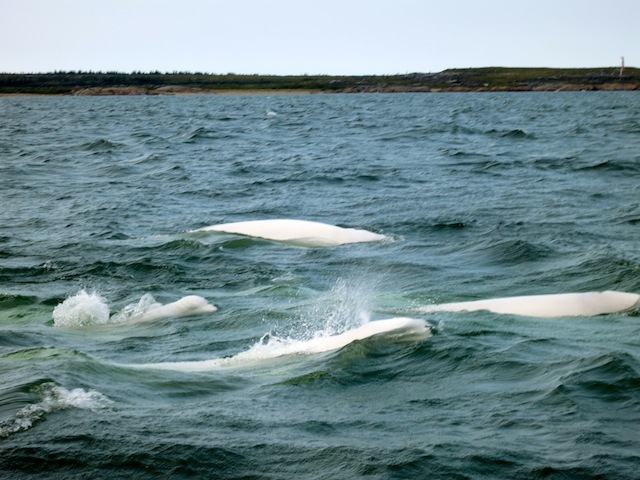 Belugas are summer habitués of Churchill River, Manitoba, flocking here to calve, frolic, feed, sing and – who knew? – moult. Baby belugas are grey not white. Belugas remind me of swimming croissants. Belugas, unlike other whales, can turn their heads. 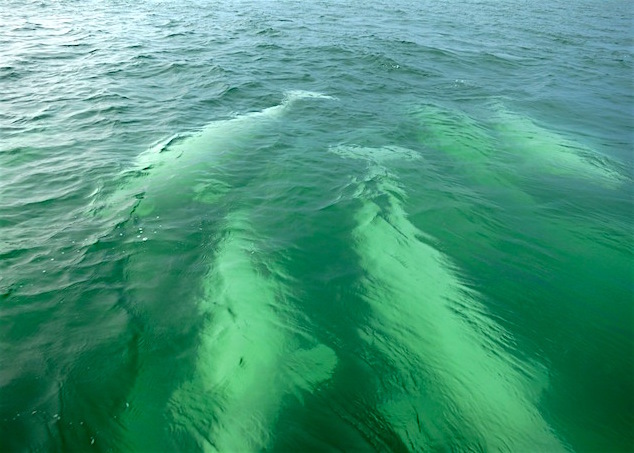 Some 60,000 belugas flock to Canada’s Hudson Bay in the summer – the highest concentration of beluga whales in the world. Belugas, I say modestly, are inordinately fond of my singing. This I learned during my first beluga experience through Lazy Bear Lodge, a tour outfitter and lodge in Churchill. While motoring along on the lodge’s custom made jet boat, which looks a bit like a miniature D-Day landing craft, I lured a baby beluga right up to me by leaning over the water and singing a song I composed just for the whales. The baby beluga was so close we almost kissed. He reached his little head up with that lovely beluga smiley face and dove under the boat. I wanted to adopt him right then and there. My beluga song is not the famous Baby Beluga song by Raffi, but the lyrics are equally deep and profound. They go like this: “Little beluga. We love you. We want to play with you. So come out and play. 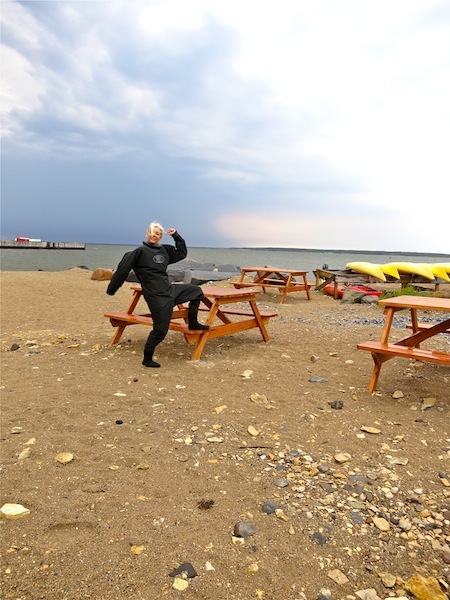 Today.” You won’t find poetry like that just anywhere, so be glad that you’ll have this beluga adventure blog post to refer to for when you visit Churchill, Manitoba, for yourself. This was accompanied with various squeak-and-squeal harmonies by Jenn. I know, right? We plan on taking our act to Vegas. But enough of this beluga spotting from boats. It’s time to immerse myself completely in the whale-filled waters of Hudson Bay. Just as soon as I can get this dry suit over my head. The rubber neck and wristbands have to be tight enough to seal the body off from the frigid water of Hudson Bay so they’re hard to pull on. Our group of six adventurers spin, yank and knock into each other in our attempts to get into our suits in the small wooden boathouse on the shores of the Churchill River. Finally we’re ready. 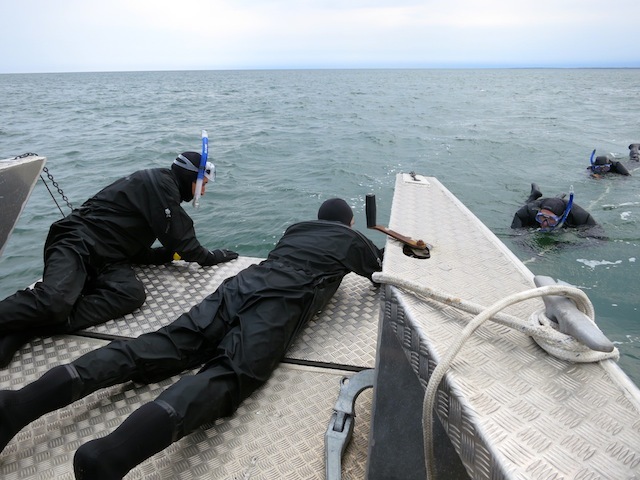 In anticipation of the cold northern water, underneath my dry suit I’m wearing black silk long johns, yoga pants, two T-shirts, a purple fleece and a khaki-coloured windbreaker, but enough of arctic haute couture. Let the beluga adventure begin. As I waddle down to the dock, however, I’m suddenly nervous. What if a beluga slams me in the head with his tail? What if my snorkel gear fails and I can’t breathe? I have no resistance to cold! I’m frightened of deep water! “Get in the water for a test of your suit,” says Chris, one of our two guides. “What? Just like that?” Without any ceremony or pep talk to warm us up? This is Hudson Bay we’re talking about. Land of fur traders and explorers. The arctic, where the Franklin expedition disappeared during their expedition of 1845. Although, to be fair, it’s not yet winter and the Franklin expedition was hundreds of miles away. I slide off the dock. Immediately I’m an out-of-control Michelin Man as my air-filled suit blows up like a balloon. ”You have to burp your suit,” Chris says. It’s almost impossible to fathom: Belugas like to play with humans. Just because. We’re not feeding them, or luring them with phoney promises of delicious crustaceans in our pockets. And that’s the beauty of northern Manitoba and Hudson Bay – wildlife interactions aren’t choreographed or manipulated by trainers. All we can really do to attract belugas … is sing. Belugas have an entire repertoire of squeals, chirps, squeaks, trills and grunts. It’s their main form of communication. (Blowing bubbles may be another way.) 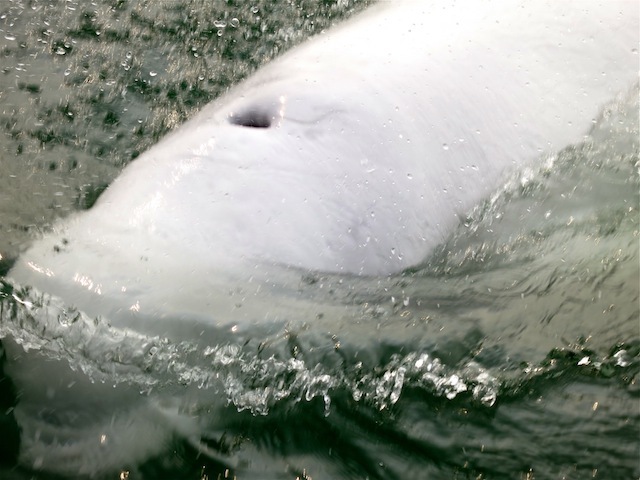 In fact, they’re said to ‘see the world in sound.’ They also appreciate a good voice – or any voice really – and I’m feeling quite proud and swagger-y as we load into the boat, because after my baby beluga encounter on the jet boat, it’s a proven fact I’m the Beluga Whisperer of the group. We motor through the Churchill River and head for Hudson Bay. I’m not sure exactly the temperature of the water – after I heard mutterings of 10 degrees celsius I stopped listening. Once in Hudson Bay, however, we can’t find any whales. “We’ll have to go back to the river,” Chris says. We chug over chop back to the mouth of the Churchill River where Chris and Gerald spot some whales and there is no more putting it off. Wait, yes there is! Jenn and I pose for pictures sitting on the edge of the boat with our feet in the river. Eventually, since no one else can get in without us getting out of the way, we slide into the water off the lowered side of our flat-bottomed boat. Realizing I’ll be sitting in his lap if I go back any farther I crawl my way forward while the boat starts off at a lazy trawl. Until I get Mark from Mexico’s feet in my face. Eventually I find my groove and put my face in the water. Arghhhh, I hate water, I think, before realizing it’s not so bad. I’m not even (hardly) freezing. Gingerly I open my eyes. Yup. Mask works. I try to breathe and flail around for a minute then remember to breathe with my mouth. Yup. Snorkel works. All we need now are puffy white whales. I can see directly below me for a few feet. The water of the river is a startling green though it looked steely grey from above. I start singing an Amy Winehouse song in case the belugas are in the mood for jazz. Nothing. I try, “Tomorrow, tomorrow, I’ll love you tomorrow.” Nothing. I adjust my grip. It’s so cute I start to laugh, immediately taking in a mouthful of water. I lift my face, spit out salt water then go back under, this time opting for a nursery rhyme. Nothing. Why? Belugas love me. I’m the Beluga Whisperer. “To the right! To the right!” Gerald shouts.” His right or my right? I look both ways but water gets in my ear so I look straight down again. Nothing. “Squeak squeak squeeeeeakkkk!” Jenn’s voice goes up a notch. Could she have seen something? I raise my head. Trying to turn in a buoyant dry suit isn’t easy. I feel like Sandra Bullock in Gravity. I manage to look back but only see Remy behind me. He looks like a a dark juicy seal in his dry suit and I suddenly remember how many polar bears we saw yesterday at Hubbard Point. If they come this way hopefully they’ll eat Remy first. Finally a Zen moment. Face down, I float quietly with my arms out. Seeing nothing but emerald green, I’ve reached a stage of tranquility. Of being one with Hudson Bay – until a loonie-sized jelly fish floats by. “Eeegh!” I sputter into the water. I’m about to do the tap-on-the-head signal to let Chris know I want to come in, when we’re told to come in anyway. Gerald grabs me by the cuff of the neck and hauls me into the boat. I look around to see if faces are jubilant or so-so. “I saw four, I think,” Jenn says. “Four whales?” What? I’m not the Beluga Whisperer? Why didn’t they swim with me? How could not even one baby beluga appreciate my Amy Winehouse? They were? Where was I? “Look!” Someone shouts. I look to my right to see a pod of white wales gracefully leaping alongside us. “No, there!” shouts someone else. The belugas are in front of us. And beside and underneath us. 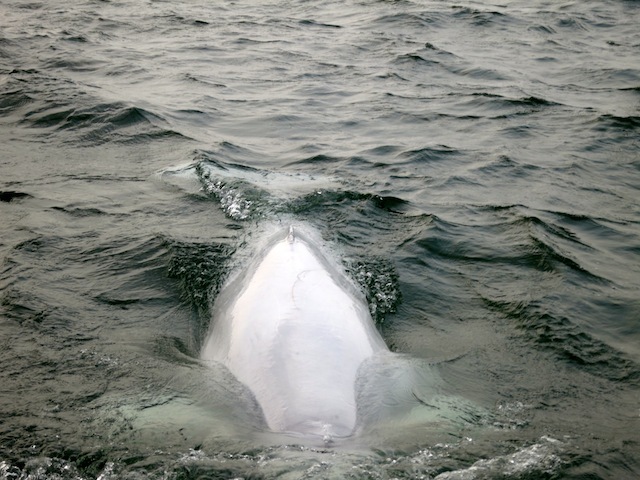 There must be more than 30 belugas swooning up and down alongside us. It’s a whale fest. 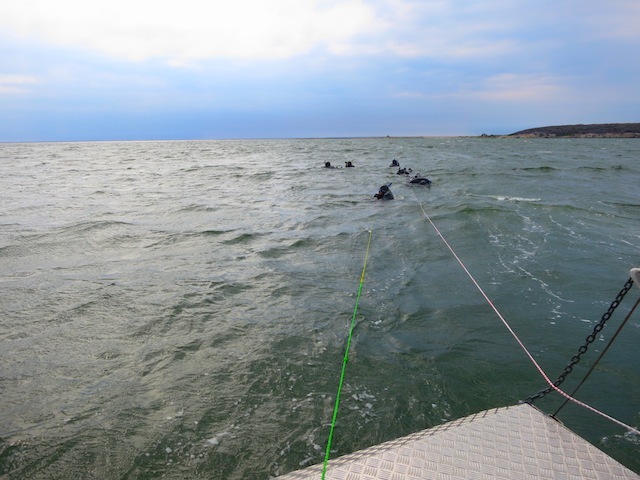 It is the ultimate beluga adventure in Churchill! The most astonishing wildlife moment I’ve ever had. “I’m shaking!” I say, to no one except the whales. “I can’t believe it!” I’m in a whale whirlpool. I may not be the Beluga Whisperer, but who cares? The feeling of gratitude is hard to describe, like having a baby beluga-sized bundle of joy pressing down on your chest, so heavy you can barely breathe in and you’re hyper alert, and your emotions are shooting into the vast arctic sky because a pod of angel-coloured mammals have chosen to play with you. I dash to the left of the boat and the right and take photos and applaud and dance on the spot and finally kneel down and sing a little chorus of Amy Winehouse, just for them. We flew up with Calm Air, a 2 hour flight north of Winnipeg, Manitoba. 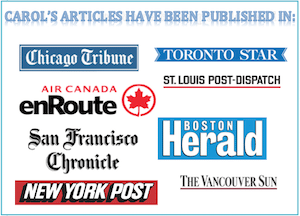 There are no roads to Churchill, but you can get there by train on Via Rail – it’s a 48 hour journey. Lazy Bear Lodge is the most deluxe place to stay in Churchill – though admittedly, it’s not the Ritz. 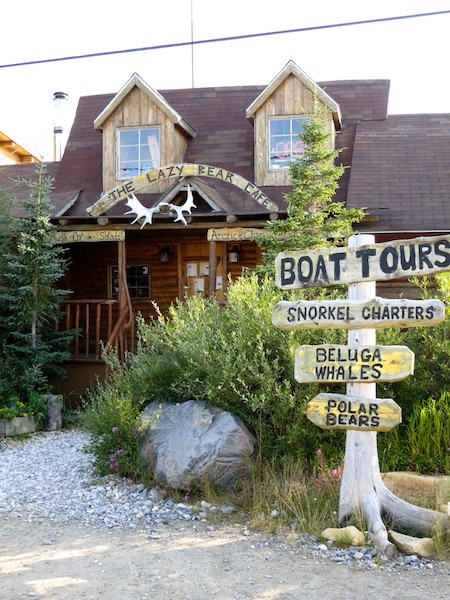 It’s a friendly log-cabin-y lodge with a warm cozy feel, a full service tour desk that arranges all your excursions and schedules, a restaurant complete with fireplace and bear skins on the walls and rooms with – this is important after you snorkel with belugas – bathtubs and plenty of hot water. 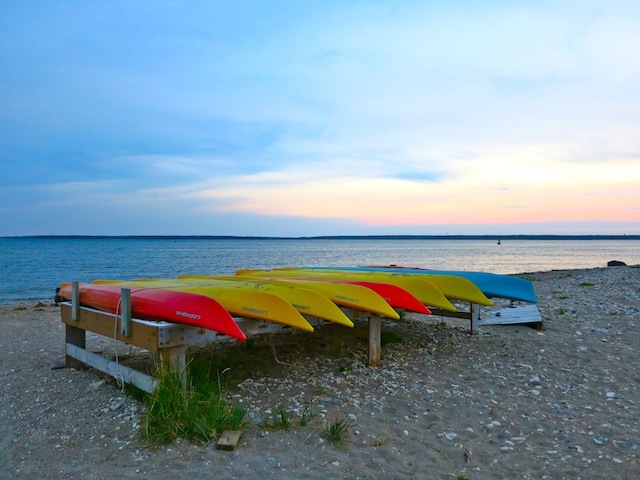 What to do in Churchill: Visit my Things to do in Churchill article for more exciting ways to spend your time in this fascinating Canadian town. What is included in Beluga Whale Dream Tour? A two-night stay at Lazy Bear Lodge in Churchill, Manitoba, Canada. 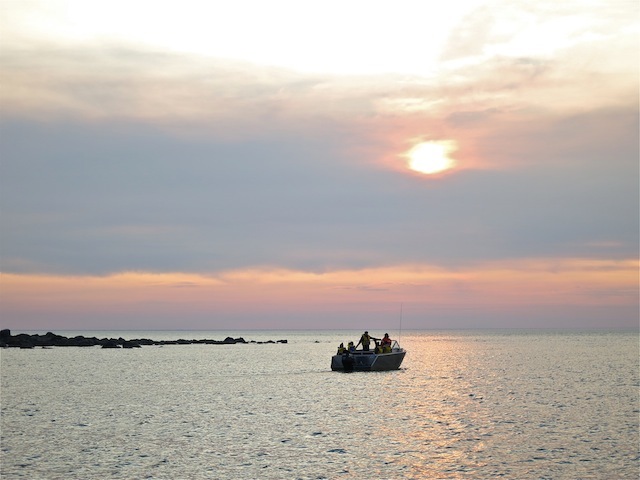 A 3-hour excursion to the historic Prince of Wales Fort in the jet boat – beluga spotting along the way. Don’t miss the centuries’ old graffiti carved into the rocks. A 3-hour Cultural and Heritage Tour of Churchill, including historic Cape Merry and the Polar Bear Jail (just the outside, visitors aren’t allowed to go in – it’s better if the animals don’t get habituated to humans). Note: Snorkelling or kayaking were my favourite beluga adventures and are add-on excursions. I’d suggest doing at least one of these only-in-Canada active adventures. Snorkelling is $199, Kayaking $145. 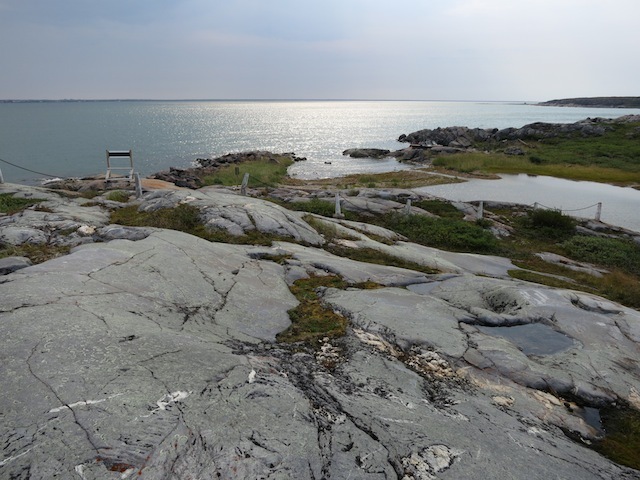 About Churchill, Manitoba: Churchill, population 1,000, is a remote yet vibrant community in northern Canada. Located on Hudson Bay on the edge of the Arctic, it’s known as the Polar Bear Capital of the World. High season is in the fall, when hundreds of polar bears gather to wait for the bay to freeze so they can go off hunting seals. Summer is beluga season, and I simply don’t see how polar bear tours can be better. Think about it, you can frolic with the big white animals of the sea, or look at big white bears who might eat you. Who would you rather play with? That said, I can’t wait to one day experience polar bear season, too. 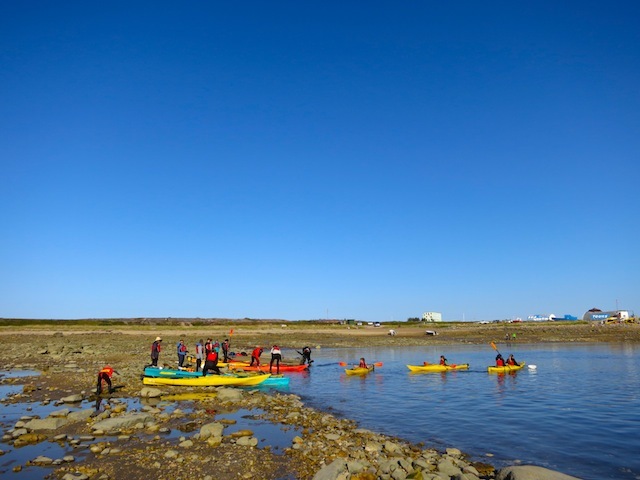 For more ways to experience Churchill read my Adventure Canada: Things to do in Churchill post. For more information on visiting Churchill visit Travel Manitoba. My trip was subsidized by Travel Manitoba – all opinions, songs, thrills and chills are my own. 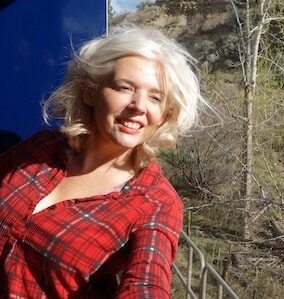 Check out Jenn’s Travel and Happiness blog. She is very happy she’s the real Beluga Whisperer, although personally I think she’s more Beluga Squeaker. For more about travel to Canada visit my Things to Do in Canada blog post. Thanks, Indah! I do hope you get your chance to see belugas in the wild someday. Swimming croissant! :D You made me smile!! Truly amazing, thank you so much for the info, I had no idea that we can snorkel with them (although I’d prefer scuba diving than snorkeling :D but I guess even snorkeling will do ) – truly inspiring travel, I hope to see them someday. I think we kayaked for about an hour, Rose. 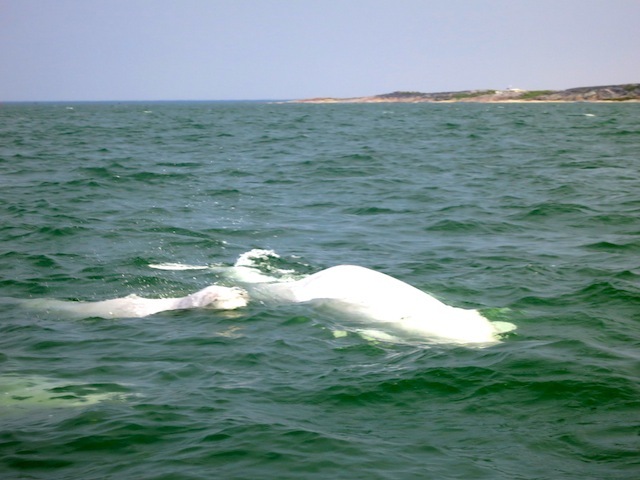 Yes, we saw loads of belugas! One was about three inches from my hand. Did you see any when kayaking? How long did you kayak? Dear Carol, the Beluga Whisperer thanks you for your kind comment. Dear Beluga Whisperer, your post was one of the best ever. I could hardly keep my head above the water for so much laughter and all those astonishing Belugas and your own brave and glorious experience. This is one trip that is so on my bucket list – burping suits, cold and all. What a great account of your adventure. I will serenade belugas with you any day of the week. Maybe, I will even dye my hair. Well, maybe not but that’s ok because my squeak along with your voice are magic baby! What an amazing adventure and photos, Carol! 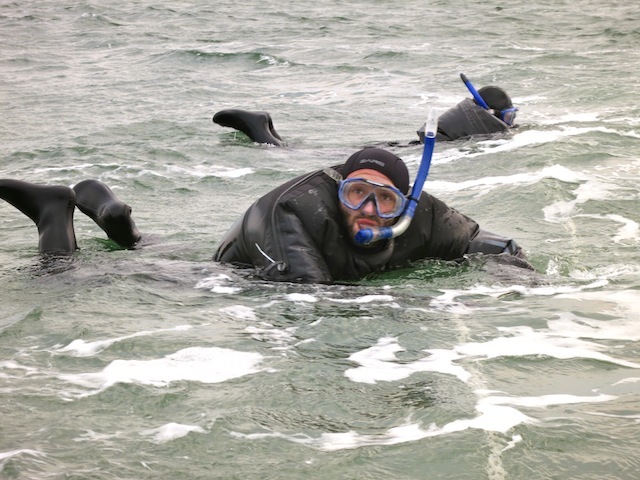 The whales are gorgeous and the photos of the journalists in their snorkel suits hilarious. Great tale! I don’t remember having to “burp my suit” when I went swimming with belugas in Churchill but perhaps if you’re a beluga whisperer you need the extra space to gather air space for vocalization? One of Canada’s greatest experiences, without a doubt!